Nick has been with CWU Geology since 1992. 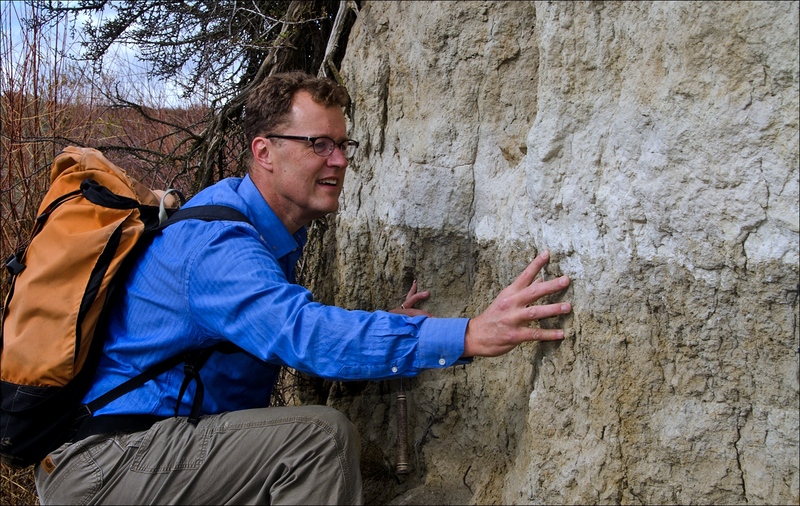 He teaches a popular "GEOL 101 - Geology of Washington" course to CWU students every Fall Quarter and Winter Quarter - and his course is open to townspeople for free! He also teaches "GEOL 351 - Pacific Northwest Geology" every spring. Nick's outreach to the public includes a popular Ellensburg evening lecture series "Downtown Geology Lectures", a PBS TV series "Nick On The Rocks", and he leads the Ellensburg Chapter of the Ice Age Flood Institute. In 2015, Nick received the prestigious James Shea Award, a national award recognizing exceptional delivery of Earth Science content to the general public. Past Shea Award recipients include John McPhee, Jack Horner, Robert Ballard, and Stephen Jay Gould. Nick's wife, Liz Zentner, teaches science at Ellensburg High School. The Zentners have three boys - Max (26), Sam (24), and Jack (22).